Matthew 5:10-12: “Blessed are they which are persecuted for righteousness’ sake: for theirs is the kingdom of heaven. It has been nearly 2,000 years since the death and resurrection of Jesus Christ. Throughout the ensuing centuries, countless followers of Christ have experienced persecution because of their faith. That persecution continues to this day, particularly in nations where Christianity is perceived as a threat to the state or to an entrenched religious system. While many persecuted Christians suffer in obscurity, the case of Pastor Andrew Brunson has captured the world’s attention. Andrew Brunson is an American pastor of the Evangelical Presbyterian Church. Pastor Brunson, who hails from North Carolina, has served the Lord in Turkey for 23 years. On October 7, 2016, Pastor Brunson and his wife, Norine, were detained by Turkish authorities. While Norine Brunson was released several days later, Pastor Brunson continues to be held hostage and has been falsely charged with terrorism and espionage. During the early part of his captivity, Pastor Brunson was held “in a cell with 21 other inmates that was built to hold only eight prisoners.” If convicted, Pastor Brunson faces 35 years in prison. 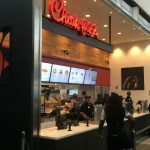 At a hearing last month, Pastor Brunson said, “‘The disciples of Jesus suffered in [His] name, [and] now it is my turn. I am an innocent man on all these charges. I reject them. I know why I am here. I am here to suffer in Jesus’s name.’” The American Center for Law and Justice is representing Pastor Brunson’s family. A timeline of Pastor Brunson’s case is available here. The United States government has placed Turkey (which is supposedly a U.S. ally) and its notorious dictator, Recep Erdogan, under intense pressure to release Pastor Brunson. President Trump has placed economic sanctions upon two high-level officials in the Erdogan regime and has imposed tariffs on Turkish steel and aluminum. In response, Erdogan has implemented retaliatory sanctions against the United States and has demanded that the U.S. turn over the alleged leader of a 2016 coup attempt in exchange for Pastor Brunson’s freedom. 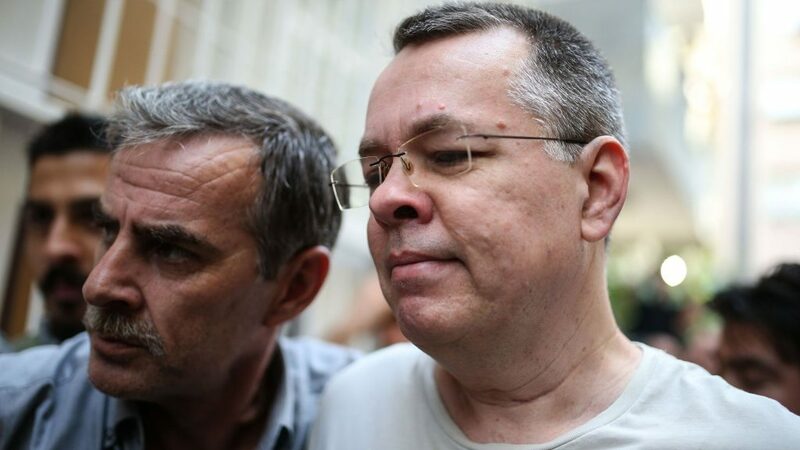 While Pastor Brunson has been released from prison, he remains under house arrest. Please keep Pastor Andrew Brunson, his wife Norine, and their three children in prayer. In addition to praying for Pastor Brunson’s release, please also pray that the Lord will use this case to shine a light on the persecution of Christians and other persons of faith across the world and to draw many to saving faith in Jesus Christ.